You can’t watch a professional football game or basketball game these days without spotting neon-coloured compression clothing — think, knee-high socks and tight sleeves — on the court or field. But if you think compression clothing is nothing more than super-tight workout gear or a fashion statement, think again. Originally used in a medical setting to assist with healing, these super-tight garments have become increasingly popular among athletes. Some brands, such as Under Armour and SKINs, go so far as to suggest that compression clothing can increase muscle power, improve stamina and coordination and speed up recovery times. But are they really worth the hype? The claims are certainly impressive, but this doesn’t necessarily mean you should trade in your standard gym wardrobe just yet. Here, we look at the science behind compression clothing, including the purported benefits and drawbacks. 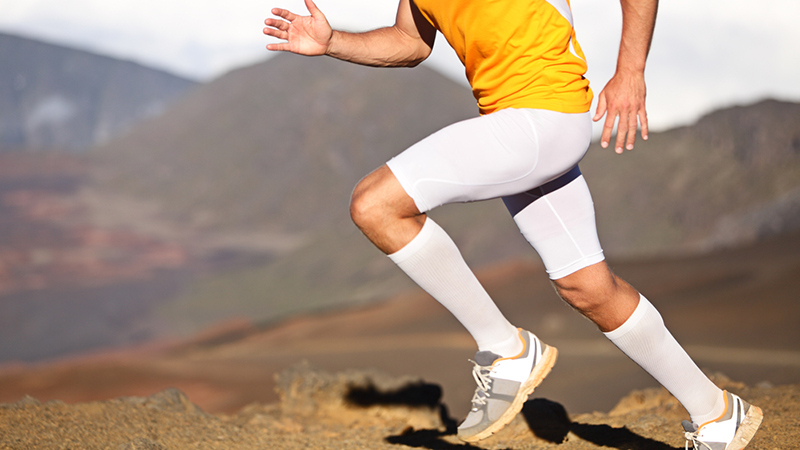 Does Compression Clothing Enhance Performance? Traditionally made from spandex and nylon, compression clothing had been used in medicine for years as a means to compress tissue, promote blood flow and prevent edema. From there, coaches and trainers had a thought: If compression clothing increases blood flow, and more blood flow means more oxygen for your muscles, than surely it can improve an athlete’s performance, right? Not so fast. There have been many conflicting studies attempting to prove or disprove the merits of compression clothing, with contradictory results. Some research suggests that wearing compression tights while running may help decrease muscle vibrations, which can cause muscle fatigue. Most studies, however, have been inconclusive, finding that the main benefit of compression clothing when it comes to enhancing physical performance seems to be placebo effect. While the effects on athletic performance are murky, evidence showing how compression clothing can improve your recovery time is more substantial. Wearing compression clothing can reduce delayed onset muscle soreness, as the increased blood flow helps release the build up of lactic acid. And since your soreness is decreased, the recovery time is decreased as well. A compression sleeve can also help to stabilize joints, which is good for taking care of your elbows, shoulders and knees. Athletes who tend to experience a lot of wear and tear on their joints may want to consider compression clothing, as it can help manage inflammation. It also provides added warmth to these joints, which distributes “synovial fluid,” a.k.a, the grease that lubricates joints and keeps everything working smoothly. And when it comes to injuries, compression clothing may give you a small leg up. As an athlete, minor injuries, stress and tears occur all the time. 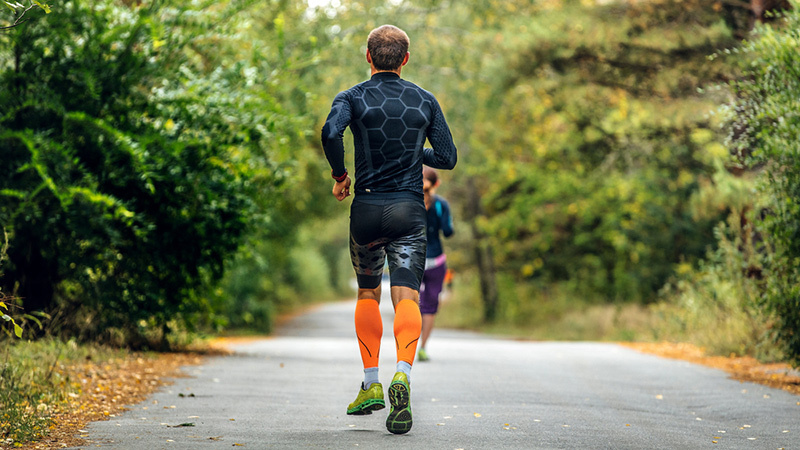 Pain and inflammation leads to poor circulation, and this is where compression sleeves can make all the difference, since the added gentle pressure can prevent swelling and facilitate faster healing. That is one of the most popular reasons for wearing compression sleeves as an athlete. They allow you to keep your peak performance despite a minor injury due to consistent blood flow. 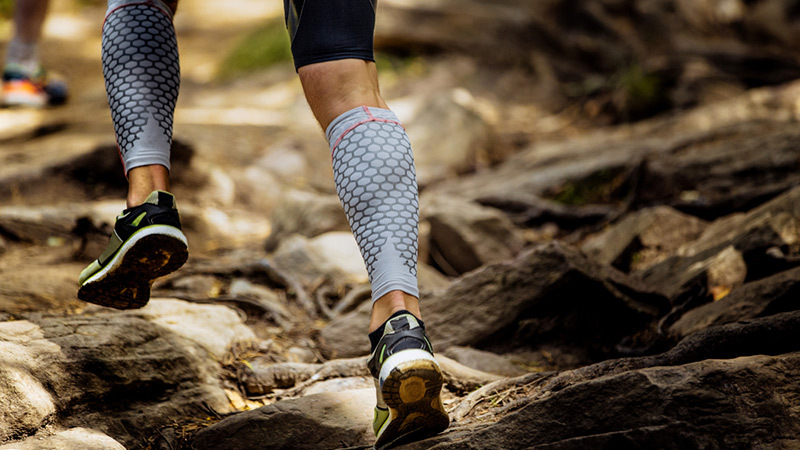 Finally, compression sleeves tend to be favoured by outdoor athletes, especially if they’re training in less-than-ideal temperatures. Compression clothing adds a layer of protection for cold muscles, and keeping muscles warm is, again, essential for preventing tears and injuries. In the end, it’s a toss up as to whether compression clothing really makes a huge difference for athletes. While compression clothing may not have a direct effect on athletic performance — that is, it probably won’t make your workout any easier — it may have its merits for treating injuries or muscle recovery. Ultimately, it comes down to the individual and their level of comfort while training. If you’re going to wear compression clothing, choose garments that aren’t too restrictive, and that won’t limit your range of motion. And remember: There are no short cuts to becoming a better athlete. The only proven method for improving your athletic performance is the old-fashioned way — with dedication and hard work.